These Victorian tiles are manufactured to the authentic patterns of its day. Shown here in black & white, these geometric Olde English tiles have a matching classic dog tooth border. We can supply this pattern in other colour combinations to special order. * Original Victorian patterned tiles. * Photo shows black & white tiles. * Geometric tiles priced per m2. 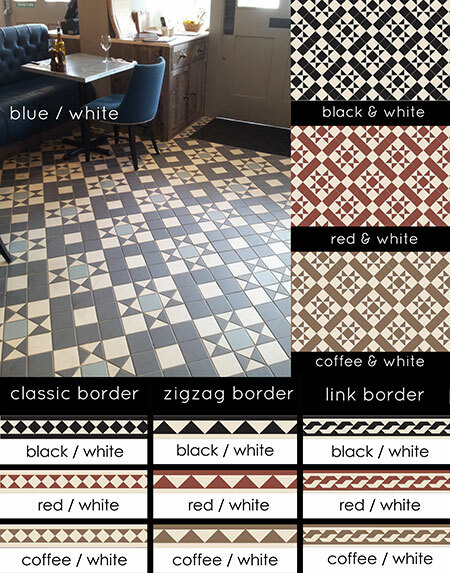 * Border tiles priced per linear metre.